Young people today need first-class tuition and the finest academic qualifications to succeed, but they also need strength of character and skills such as communication, teamwork and resilience, to build happy, fulfilling and worthwhile lives. A boarding education can provide the building blocks for character and success. As the school curriculum narrows, the boarding school’s emphasis on educating the whole child provides plenty of opportunities to develop a wider set of skills and qualities. At Bloxham, our activities programme offers pupils 100 options, ranging from mainstream sports to minor ones, and from music, drama and art, to astronomy and model railway club. Balancing breadth with specialism, our tutors work with pupils to help them select options which will both stimulate and challenge. They encourage pupils to give everything a go – in our view, it’s good to try new things, to persevere at acquiring new skills and to learn to laugh when you fail. Where talent and interests emerge, a boarding school can allow pupils time and resource for passions and expertise to flourish. With a flexible boarding model, it is possible to take an open approach to pursuits which naturally develop outside of school. In common with many boarding schools, outdoor education runs through the lifeblood of Bloxham School. First introduced in our Lower School, outdoor education increases in challenge as pupils move through their years with us. Our Year 7 and 8 pupils enjoy annual camps and the not-to-be-missed Alps trip, when they get to test their nerve white-water rafting and canyoning, building life-lasting memories on the way down. Over many years, boarding schools have learnt that trying new activities in a fun environment can generate excitement for learning outdoors. This in turn lays the foundations of resilience, communication and teamwork upon which young people will rely so often in the future. Over many years, boarding schools have learnt that trying new activities in a fun environment can generate excitement for learning outdoors. These skills can be further developed in more demanding environments, for example, through the Duke of Edinburgh’s Award and CCF. 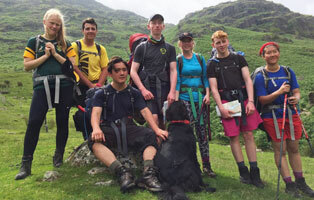 Schemes like these help pupils broaden their horizons, develop their leadership skills, learn to work with others, and prove to themselves they can succeed at a serious challenge. Bloxham is a Christian foundation school. As such we value kindness and compassion, and we teach pupils the value of contributing to their community. Through our well-supported service programme pupils volunteer at food banks, care homes and local primary schools each week, giving them a lasting experience of making a difference. One such relationship recently led to a beautiful collaboration, which saw a design technology A-level pupil dedicate his examined project to a local hospice. Working to the hospice director’s brief, the pupil designed and made symbols, features and artefacts to enable the hospice chapel to become a multi-faith place for worship and reflection. Now installed, they are having a moving effect on the hospice’s community. They have also shown our pupil, and indeed the whole school community, the impact they can have when they give something back. We choose an annual charity and in 2018 everyone was unanimous in their support for Mary’s Meals, an international charity which provides life-changing meals to some of the world’s poorest children every day they are in school. Fundraising challenges included hikes up Scafell Pike and Ben Nevis, the Long Walk to Longleat (in flipflops, in the case of one pupil!) and cake and clothing sales. Experiences such as these also show children the importance of teamwork and determination. They teach them to look beyond themselves, to appreciate their good fortunate and to help those with less. Perhaps most importantly, boarding environments teach pupils the importance of tolerance and respect, how to work together to achieve their goals and how to live harmoniously with others. Boarders learn to invest in their community, realise their actions have consequences and learn to take responsibility. This blend of education helps them grow into happy, well-adjusted young people, with the values and strength of character to do something good with their lives. 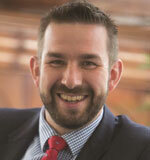 Paul Sanderson has been Headmaster at Bloxham School since 2013. Before this he was Deputy Head at Gordonstoun, where he also spent three years as a Housemaster. He was an Assistant Housemaster at both Oundle and Lancaster Royal Grammar. Educated at Banbridge Academy, he studied Evolutionary Biology and Genetics at the University of St Andrews and he has a Masters in Educational Research from Cambridge University. At Bloxham, he continues to teach Biology and takes the climbing activity.